The Automotive Structural Composites Group at WMG, University of Warwick works closely with material suppliers, component manufacturers and OEMs within the automotive industry to deliver industry relevant research. 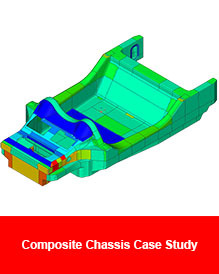 Research capabilities and collaborative projects focus on making technological step changes to advance composites manufacturing processes with the goal of making them suitable for high volume automotive applications. Helena’s most recent WMG project, working with Ford, Gestamp Chassis and GRM involved the manufacture of a composite suspension component for Ford Motor Company. 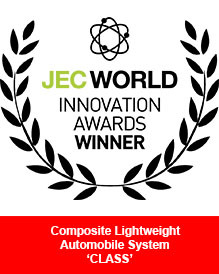 The CLASS Project was awarded the 2018 JEC Innovation Award in the category of automotive application. 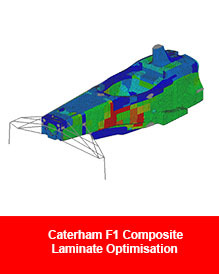 "Optimised Engineering Design (OED) has really helped us validate what we do in our research environment. It's a quick way to go through many different options and pick the best one to go forward into manufacture." Helena graduated from the University of Birmingham in 2006. Originally studying Sports and Material Science, she went on to study Material Science, focusing on polymer science in both degrees. Helena worked for BAE Systems for 2 years as an Operations Graduate, the role involving Strategy and Investment, Lean Manufacture, Metallurgy and Operations Supervision. Her work earned successive promotions from 2006, culminating into a Senior Materials Engineer role in 2011, where she started working in the composites discipline of Materials Engineering, supporting detail manufacture for multiple aircraft programmes both on site and at sub-contractors.